The Rouge Volupte lipsticks have a satin finish (I believe) and come in a wide range of colours, 30 I believe. The texture of this lipstick is like no other lipstick that I own, it's super creamy (without being too soft), highly pigmented - just a swipe is enough and it smells divine! Kind of like grapefruit, definitely fruity. 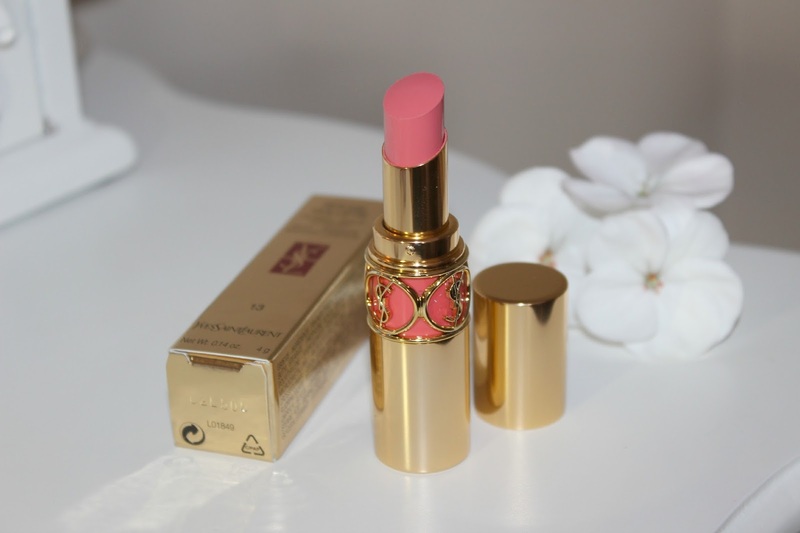 The lipstick is quite like a lip butter, but lasts a lot longer and is far more pigmented. I'd say you need a touch up every 2/3 hours, although lipsticks never last forever and a day on me as I'm forever eating and drinking. As you can see from the pictures and swatch above the colour of this lipstick is peachy/pink and it is a lot brighter on than I thought. It could quite possibly be my favourite Summer holiday lipstick. 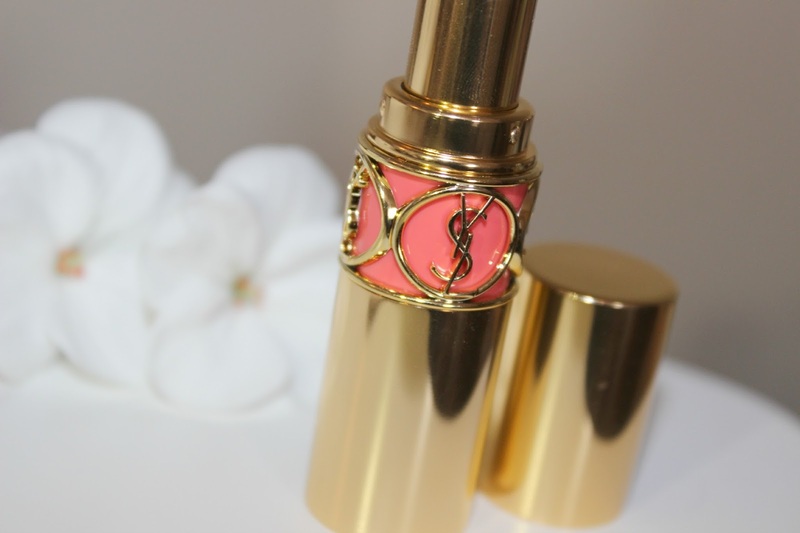 How fricking pretty are these YSL lipsticks? I feel like I'm in lipstick heaven! It's definitely staying on my dressing table, that's for sure! (show off! show off!) *la, la, la, laaaaaa, la* I feel like I own a one of a kind lipstick when I pull this little gold tube of delight out of my handbag. The packaging is gorgeous enough to make anybody stare. I really like how they show the colour through the YSL logo too, making it easier for you to grab that shade you're after. Which one shall I get next ladies and gents? Recommendations welcome! Do you own any of these lipsticks? What is your holy grail lipstick? Soooo pretty! 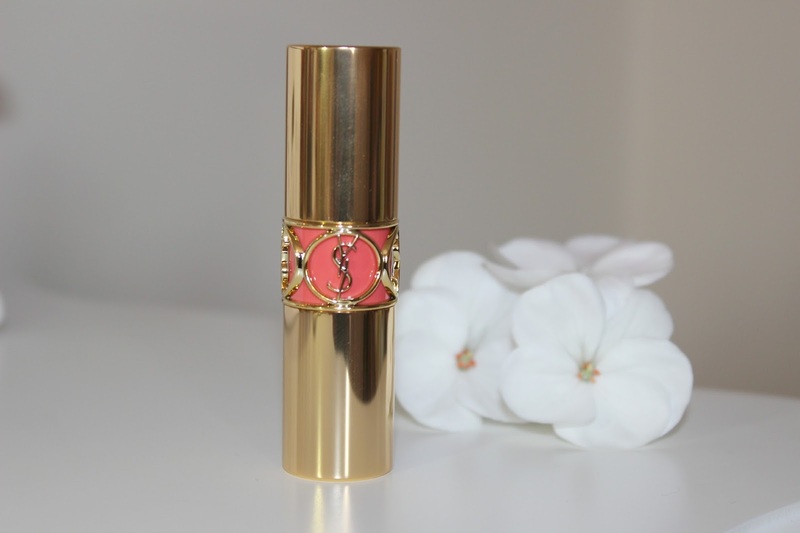 I absolutely love YSL lipsticks! I just bought my second one a few days ago! 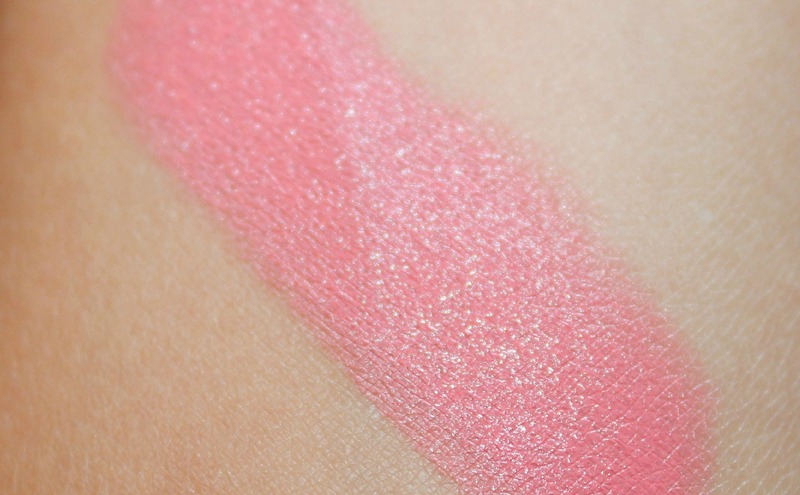 I haven't bought any from the Rouge Volupte Shine line yet, but, OH I will! 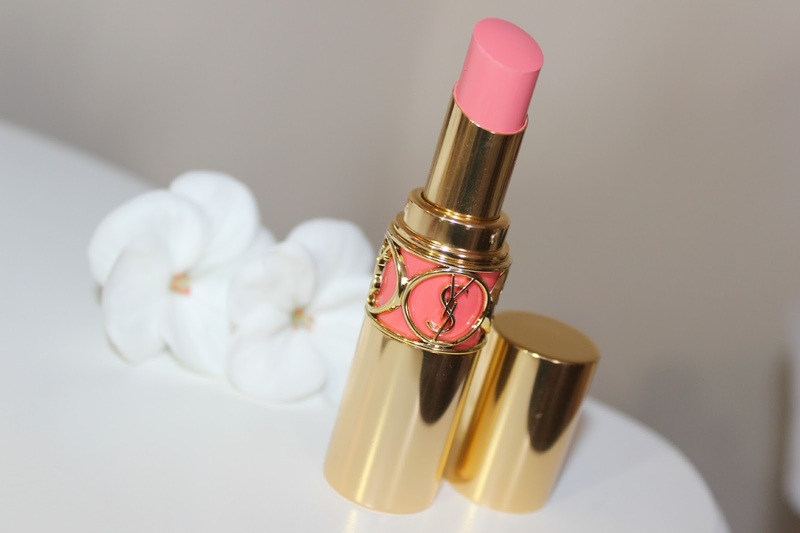 This is such a gorgeous lipstick ! the packaging alone is to die for! I have wanted to delve into this range for soo long now but like you am worried that once I start I wont be able to stop!